From left to right, David Pepper, John Carney, Nina Turner, Tom Letson, Ed FitzGerald, Sharen Neuhardt and Connie Pillich stand outside a Transport Workers Union bus at a Tour to Restore stop in Springfield, Ohio on Tuesday afternoon. On the final day of a five-day Tour to Restore Ohio bus tour across the state, seven of the eight Democratic Party candidates for statewide elected office stopped this afternoon at a "Get Out the Vote" event in Springfield, Ohio. 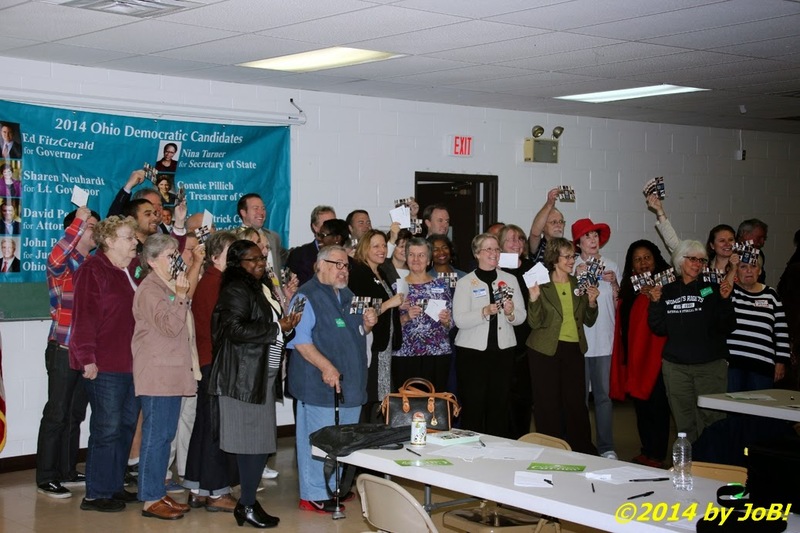 In a nearly hour-long visit, Ed FitzGerald, Sharen Neuhardt, David Pepper, Nina Turner, Connie Pillich and John Carney (candidates for governor, lieutenant governor, attorney general, secretary of state, treasurer and auditor, respectively) along with Tom Letson, one of two Democrats seeking seats on the Ohio Supreme Court, were guests of the Clark County Democratic Women's Issues Group at the United Auto Workers Local 402 on Urbana Road. According to the event announcement, members of that group were gathering at that location to write postcards to send to women voters reminding them of what's at stake in the upcoming general election. This activity coincided with National Voter Registration Day, a day where over 2,000 partner organizations across the country promote eligible voters to sign up to be eligible for the November election. 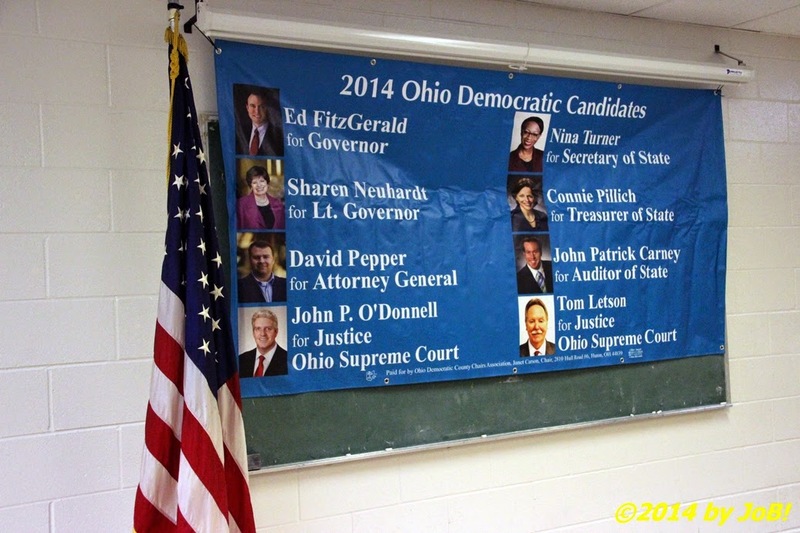 A banner featuring all of the statewide Democratic candidates hung on the wall inside the UAW Local 402 for the Tour to Restore Ohio stop on Tuesday afternoon in Springfield, Ohio. The travelers started their day at Cincinnati's Washington Park and, after the Springfield stop, continued on to a rally on the campus of The Ohio State University in the early afternoon followed by a concluding rally in the Cleveland area on Tuesday evening. With just six weeks until the November 4th elections, the Ohio Democratic Party is pinning its hopes on increasing enthusiasm for their candidates in order to increase voter turnout, a factor that hampered 2010 attempts to keep the sizable majority of statewide officeholders they enjoyed in the wake of the overwhelming gubernatorial victory by Ted Strickland over Ken Blackwell four years earlier. Recent polling has FitzGerald down between 12 to 30 points to incumbent governor John Kasich and other candidates trailing their Republican opponents by between 6 and 28 points (O'Donnell is beating sitting justice Judith L. French by 6 points with half of the voters undecided). 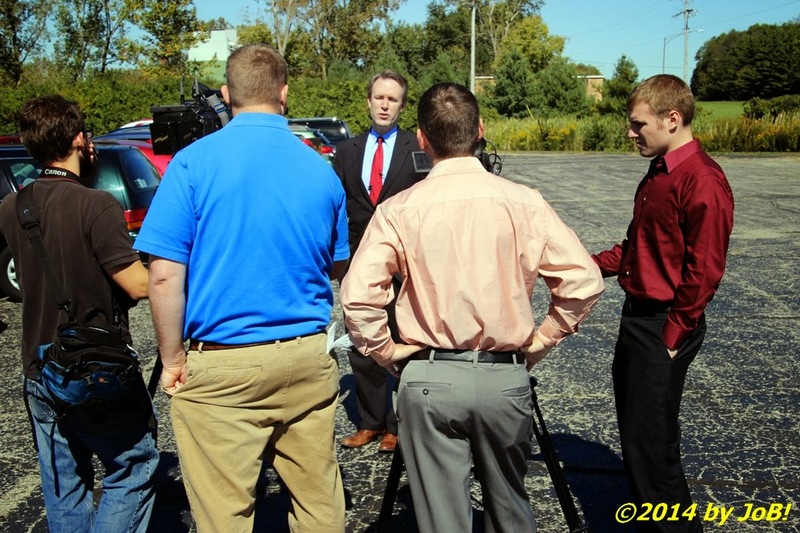 Democratic gubernatorial candidate Ed FitzGerald addresses members of the media during the Tour to Restore Ohio stop in Springfield, Ohio. 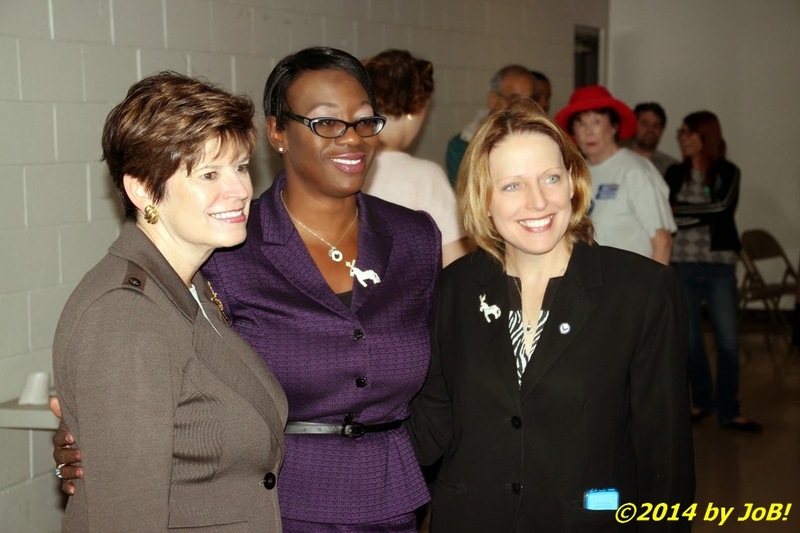 Sharen Newhardt, Nina Turner and Connie Pillich (Democratic candidates for lieutenant governor, auditor and treasurer, respectively) pose for a photograph at the Tour to Restore Ohio stop in Springfield, Ohio. Candidates and supporters pose for a group photo at the Tour to Restore Ohio stop in Springfield, Ohio. 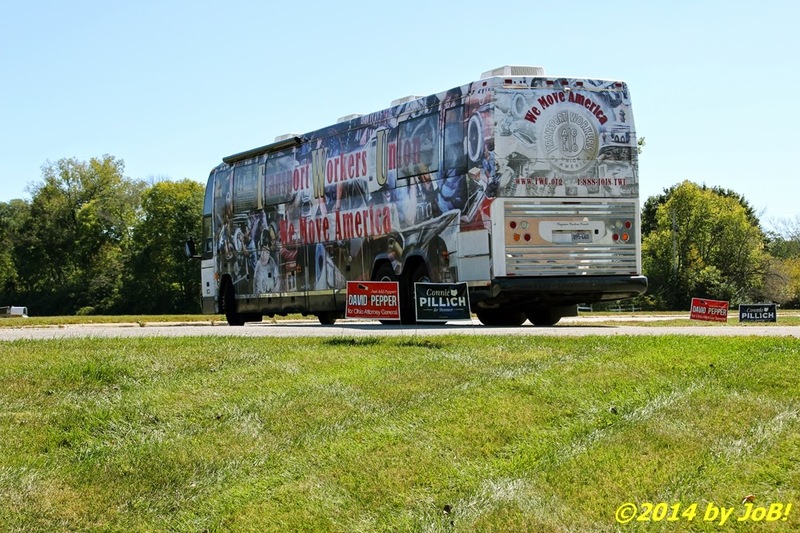 The Transportation Workers Union bus pulls out the UAW Lodge 402 parking lot on its way to the next Tour to Restore Ohio event on the campus of The Ohio State University in Columbus, Ohio.